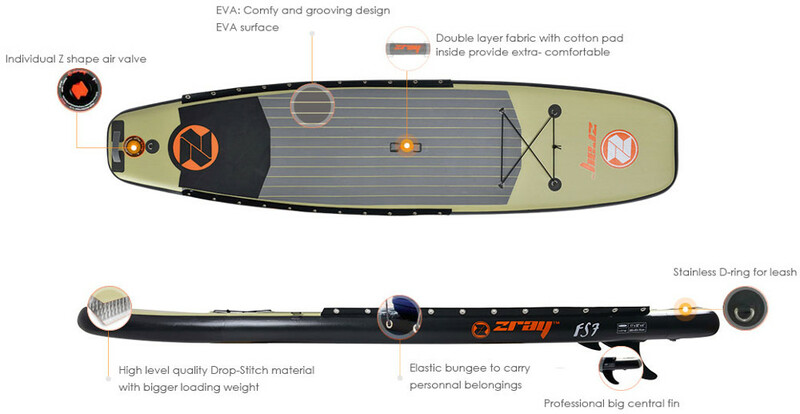 Zray is arguably one of the least dominant brands in the industry of inflatable paddle boards. However, that doesn’t always carry a negative connotation. In fact, one of the main reasons Zray doesn’t stand out as a proliferated manufacturer in this domain is its devotion to their fan base. 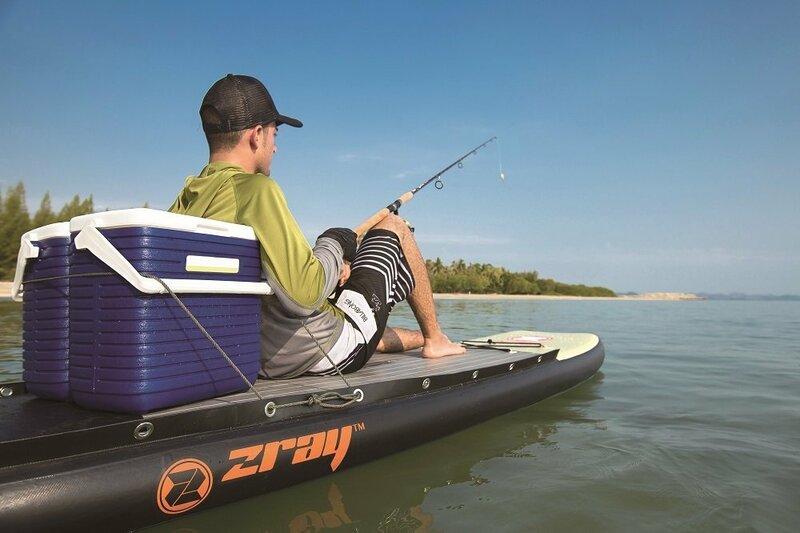 Remarkably, only a few Zray inflatable SUPs have seen day light yet each and most of them have been a complete success for the brand. 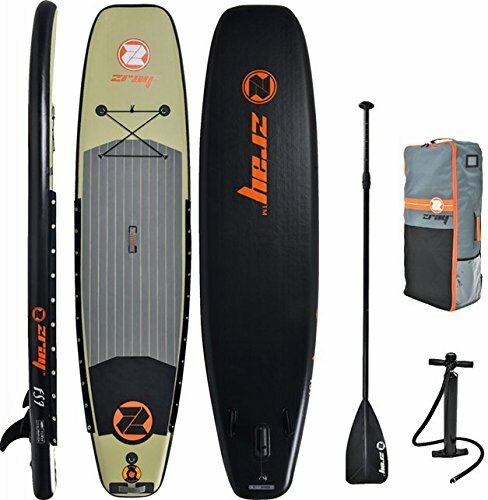 This goes to show that Zray is one of the few brands out there which makes great inflatable paddle boards. So, let’s figure out more about this manufacturer through the Zray FS7. A paddler’s primary concern should always be measurement since it is fundamental to our purchase. Yes, quality is pretty important as well but that would really matter if the board isn’t your fit. Hence, First things first, length is quite a substantial dimension for inflatable paddle boards since it strongly impacts the user and board performance. Accordingly, at an impressive 11 feet, we can really start to see where the FS7 fits. At this length, the board is thus made compatible with young adults and adults who are strongly interested in touring and fishing. Second to that comes the width of the board; which is just as influential as the previous dimension but in different ways. Hence, the Zray FS7 comes at a promising 32 inches in width thereby eliminating all of our concerns for beginning paddlers. At this size, the board is designed to grant you a wider area to move and establish balance without the risk of falling off after every attempt. Indeed, 32 inches can produce substantial balance both for the board and the paddler and that will definitely be needed on those cold days where you just want to take a quick tour around the lake while fully dressed. As for thickness, the downtrodden of dimension, the Zray at hand measures an astounding 6 inches. Board manufacturers have recently reacted to the fact that thinner inflatable boards tend to flex at the center under excessive pressure and Zray was a leader in that movement. Hence, at 6 inches, it is guaranteed that the board would never run into such scenarios and that explains the weight limit capacity of 330 lbs. We can’t really deny our prevailing concern with the quality of inflatable things and justifiably so. Our brain has learned that the tougher the object the more durable it tends to be and that is why Zray decided to go for a robust body for the FS7. The board at hand thus is made out of military grade PVC materials which is the same material that zodiacs, river rafts and some bullet-proof vests are made of. Indeed, this is one of the toughest yet lightest materials out there that can float and that makes this board virtually indestructible. Further and to improve the board even more, Zray decided to go for an industrial drop stitch construction which perfectly glues the hull together. With these two steps combined, it is guaranteed that the board at hand will endure all circumstances; anywhere from steady lake cruising to white water touring. 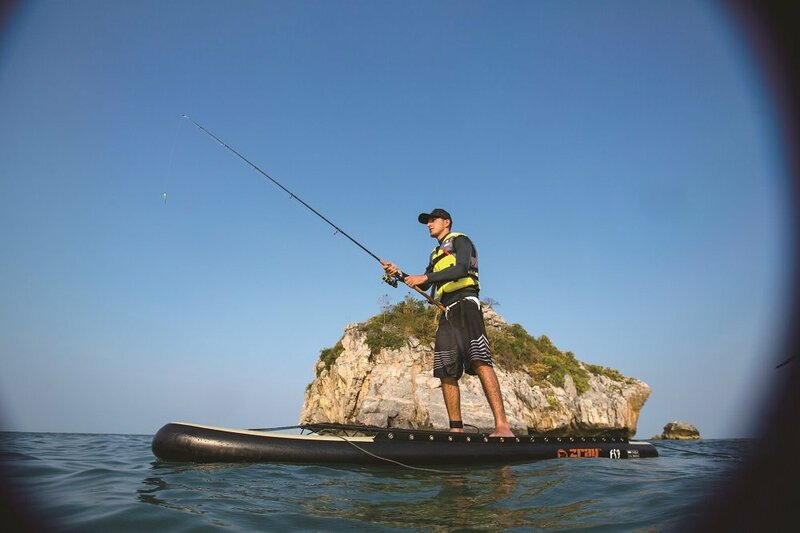 Features of inflatable paddle boards can often make a paddler stumble around looking for their credit card as quickly as possible because they truly do capture your attention and for many reasons. So, let’s discuss them as we discover each features individually. First on the list is the impressive anti-slip gripping pad, covering almost the entirety of the board’s surface. The pad will not only grant you a firmer grip on the board but it’ll also help you navigate the board better. Also, the unique design of the board with lifting edges is definitely something to stop at when analyzing it. Accordingly, the FS7 doesn’t look exactly like most boards and that’s what makes it unique. 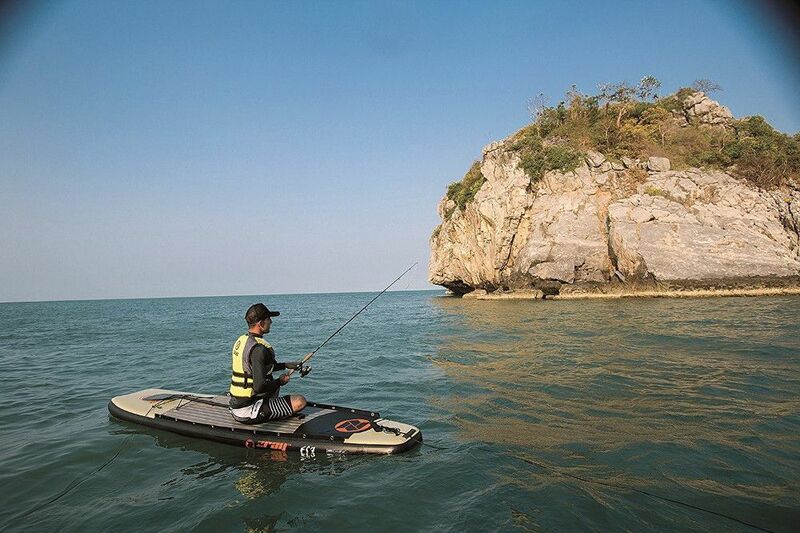 The board at hand is designed with a flat tail and head to make it more stable for beginning paddlers but also to make your fishing journey even more doable. Moreover, on the D-rings check box, the Zray at hand offers a variety of 5 rings distributed as follows: 4 rings on the nose of the board connected via a bungee cord forming a practical cargo net and a rear single ring which is meant for ankle leash attachment. In addition to its tie-down system in the front of the board, the FS7 features eleven grommets along each side of the board which provide maximum storage capacity for gear, coolers, and even seats for extra comfort. Further, the board at hand also comes with a central carry handle for easy transportation on land. Indeed, regardless of its size, the board can still be carried individually using the central handle and that’ll be something you’ll learn to appreciate about this board. The Zray FS7 also features a traditional triple fin navigation system which is one of the most practical systems that have ever been. In fact, with 3 fins fin, the board can track nicely and respond to commands quickly even in the toughest water conditions. As for performance, it is important to fully grasp the fact that this board is not, I repeat is not, designed for competitive paddling. It is rather clear that the FS7 is ideal for all-around use and perfect for paddle-boarders who also want the flexibility of fishing! The Zray FS7 is a solid performer within its specifications and that is exhibited in stability, ease of maneuver and overall dynamic design + the navigation system. All in all, the FS7 is one of the best fishing performers in the entry level category. Hence, if you’re looking for a competitive/racing model then you might want to check out an alternative. Packaging is very interesting to say the least and especially for inflatable paddle boards because it can truly make or break the deal. So, what does the FS7 have to offer? It is a workout to inflate this board by hand. I recommend getting an electric pump to help inflate this guy.